www.janetcharltonshollywood.com Want more details? Visit my bio and click on link! » Blog Archive » SACHA BARON COHEN IS BACK – IN ACTION! SACHA BARON COHEN IS BACK – IN ACTION! 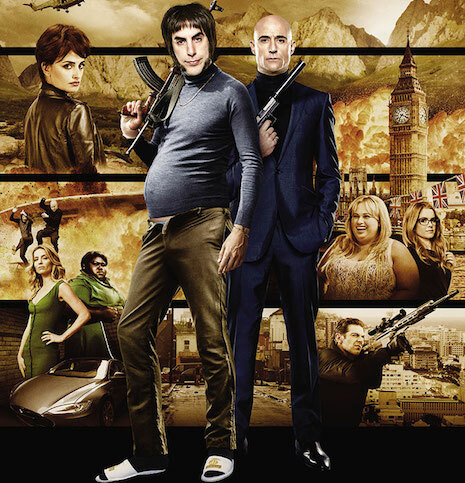 When Sacha Baron Cohen released his new film The Brothers Grimsby in London, he joked that he cast two black actors in the movie because he has “no desire to win an Oscar.” The movie is about a dimwitted football hooligan, (Cohen) who discovers his long-lost brother (Mark Strong) happens to be a highly successful secret agent. Circumstance force the brothers to join forces in a twisted action-adventure. Cohen’s hapless small-town character lives with Rebel Wilson and they have 11 children. Sounds like fun to us! He’s a mean-spirited, one-trick pony. No thank you.